Wigs can damage hair if they are worn constantly. Wigs and hairpieces commonly cause hair breakage and damage. Damage most often occurs at the site where the hairpiece or wig is attached directly to the hair, but general, overall damage can occur as well. 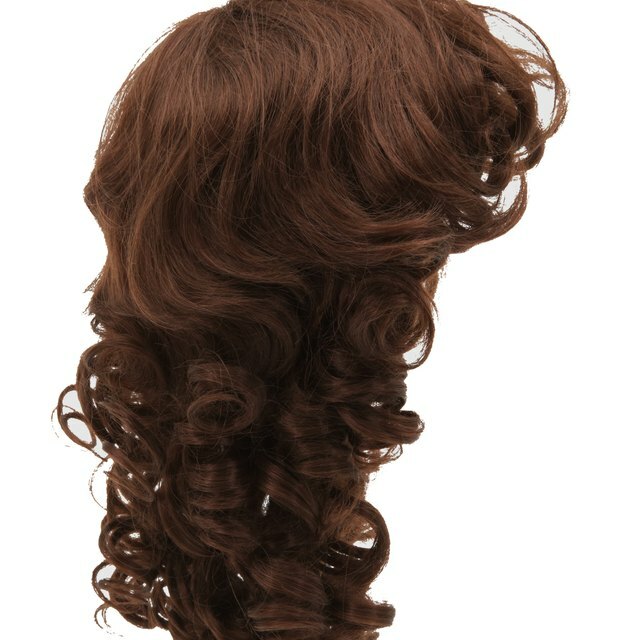 Breakage usually occurs along the hairline where the hair accidentally gets tangled up in the mesh of the wig. Breakage also occurs in areas where barrettes and bands are used to hold the hair in place in preparation for the wig. Cuticle damage occurs to the outside layer of the hair and is caused by the constant rubbing of the wig against the hair. You cannot see this type of damage with your eye. Instead, you will notice an overall dulling of the hair. Hair loss and thinning occurs in people who constantly wear close-knit (tightly meshed) wigs. Hair loss in these cases can be attributed to friction and lack of circulation to the scalp. Wear loose-meshed wigs that place little tension on the hair and allow the scalp to breathe. If you wear a wig all of the time, cut your hair short. Avoid using rubber bands and barrettes to hold your hair or the wig in place. To fix wig damage, perform corrective conditioning treatments once a week and consider getting a haircut to remove hair that is damaged beyond repair.